Here is a list of most amazing, breathtaking and magical places from around the world that look imaginary but are actually real. Have a look. Enjoy! These are top 10 places that look imaginary, but are actually real. It might look like it’s straight out of a sci-fi movie. But this natural wonder is completely real, and fully awe inspiring. 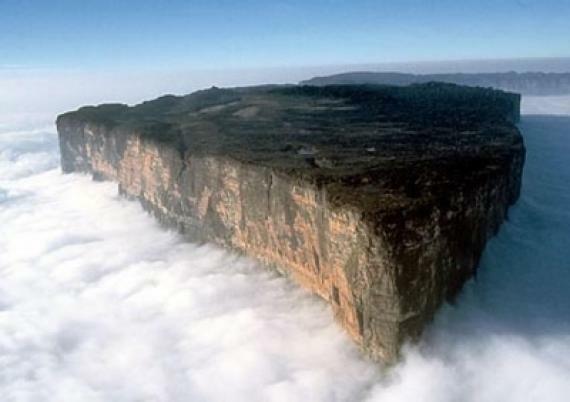 The Mount Roraima is the highest of the Pakaraima chain of tepui plateau in South America. The mountain includes the triple border point of Venezuela, Brazil and Guyana. Mount Roraima lies on the Guiana Shield in the southeastern corner of Venezuela’s 30000 km2 Canaima National Park forming the highest peak of Guyana’s Highland Range. The tabletop mountains of the park are considered some of the oldest geological formations on Earth. An unused railway track in the small Ukrainian town of Kleven (which lies some 350km from Kiev) has naturally transformed itself into a romantic paradise for couples. 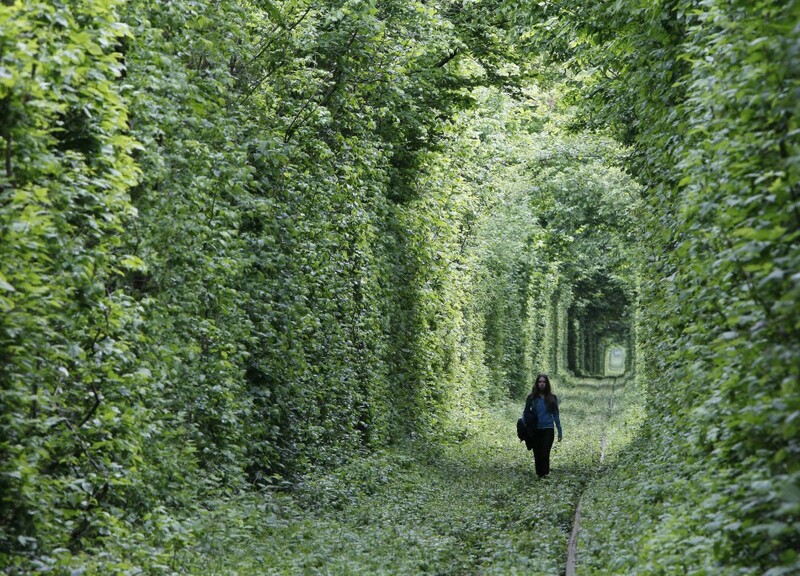 The track, which is known locally as The Tunnel of Love, is becoming an increasingly common spot for couples, particularly during spring, when a huge canopy of trees along the track grows over either side to form an arch. This arch stretches for up to three kilometers and looks like a green tunnel of trees and couples wishful of a few moments of romantic solitude are often seen strolling around. 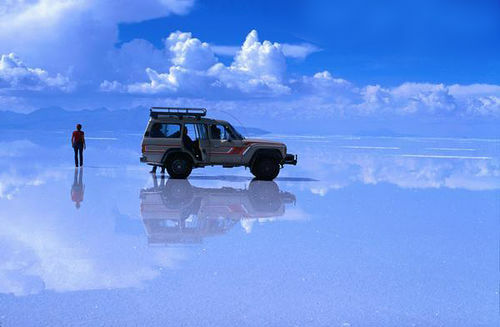 Salar de Uyuni, one of the most breathtaking sights in the world. It is the world’s largest salt flat at 10,582 square kilometers. It is located in the Potosí and Oruro departments in southwest Bolivia, near the crest of the Andes. And it is at an elevation of 3,656 meters above mean sea level. The Salar was formed as a result of transformations between several prehistoric lakes. It is covered by a few meters of salt crust, which has an extraordinary flatness with the average altitude variations within one meter over the entire area of the Salar. The crust serves as a source of salt and covers a pool of brine, which is exceptionally rich in lithium. 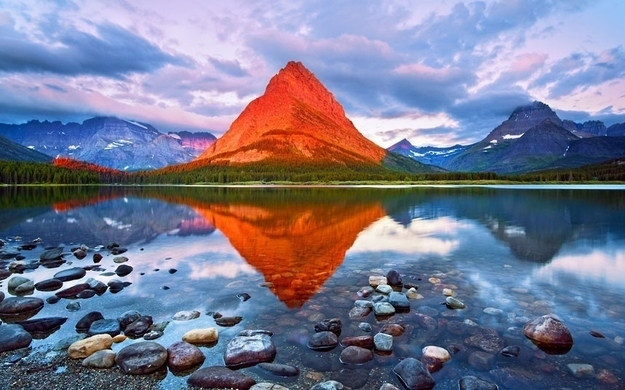 Mount Grinnell is a peak located in the heart of Glacier National Park in the U.S. state of Montana near Mount Gould and Mount Wilbur. It is named after George Bird Grinnell. From the Many Glacier Hotel on Swiftcurrent Lake the “false peak” of Grinnell Point can be seen. The Stone Forest or Shilin is a notable set of limestone formations located in Shilin Yi Autonomous County, Yunnan Province, People’s Republic of China, near Shilin approximately 120 kilometres from the provincial capital Kunming. The tall rocks seem to emanate from the ground in the manner of stalagmites, with many looking like petrified trees thereby creating the illusion of a forest made of stone. The incredibly colored rocky landscape that looks as though it’s been painted. Danxia Landform at Nantaizi village of Nijiaying town, in Linzhe county of Zhangye, Gansu province of China. This incredible landscape look as if it have been painted in the sweeping pastel brush strokes of an impressionistic artwork. But in fact this remarkable picture show the actual scenery of Danxia Landform at Nantaizi village of Nijiaying town, in Linzhe county of Zhangye, Gansu province of China. Looks Like A Giant Strawberry Milkshake, Lake Retba or Lac Rose lies north of the Cap Vert peninsula of Senegal, north east of Dakar. It is so named for its pink waters, caused by Dunaliella salina algae in the water. The color is particularly visible during the dry season. If you love flowers you won’t believe the colorful display of tulips and other springtime bulbs in bloom at the magnificent Keukenhof Gardens! The unforgettable seasonal display is created by more than seven million tulips, daffodils, hyacinths, spring bulbs and gorgeous trees. Keukenhof is one of Holland’s top attractions. The flower-growing area just south of Amsterdam is where millions of tulips come into bloom and the fields are striped with gold, fuchsia, scarlet and violet. The most popular attractions in Lisse is Keukenhof, open only during spring when the tulips are flowering. Also each spring a flower parade called the Bollenstreek Bloemencorso is held through the main streets of Lisse. Riisitunturi National Park in southern Lapland is renowned for its crown snow trees. Lapland is the largest and northernmost of the regions of Finland. It borders the Region of North Ostrobothnia in the south. It also borders the Gulf of Bothnia, Norrbotten County in Sweden, Finnmark County and Troms County in Norway as well as Murmansk Oblast in Russia. In Lapland you will experience winter twilight, Northern Lights and the nightless night of summer. Along with unique nature, become revitalised with a huge range of activities. The Crystal Cave of Svmnafellsjvkull (CORR) in Skaftafell national park, highlights nature’s beauty. Created by the awesome forces of the Vatnajvkull ice cap in the south of the volcanic island. The deep blue cave was formed by the glacier meeting the coastline. The centuries old ice that has come from the slopes of 6,921 feet tall Vrffajvkull, Iceland’s tallest active volcano, has compressed all air out of the ice adding to the texture and color of the cave. Hope! You enjoyed our list of top 10 places that look imaginary, but are actually real.